We actually have this duo-collaboration plan since two month ago. We start with idea making a hijab tutorial, then change to party make up, and then we change again with this fantasy make up XD hahahaha..
Mbak Vindy chose to be the Chucky. So I became Tiffany, Chucky's partner in crime. This is the real Tiffany. Here is details for the eye make up. I have story for this one photo bellow. Tiffany and Chucky usually held big knife in their hand, but this time I used powder brush. Hahaha. I hope you can try the tutorial (you should! and let's see how evil-looking you are XD don't forget to let me know). 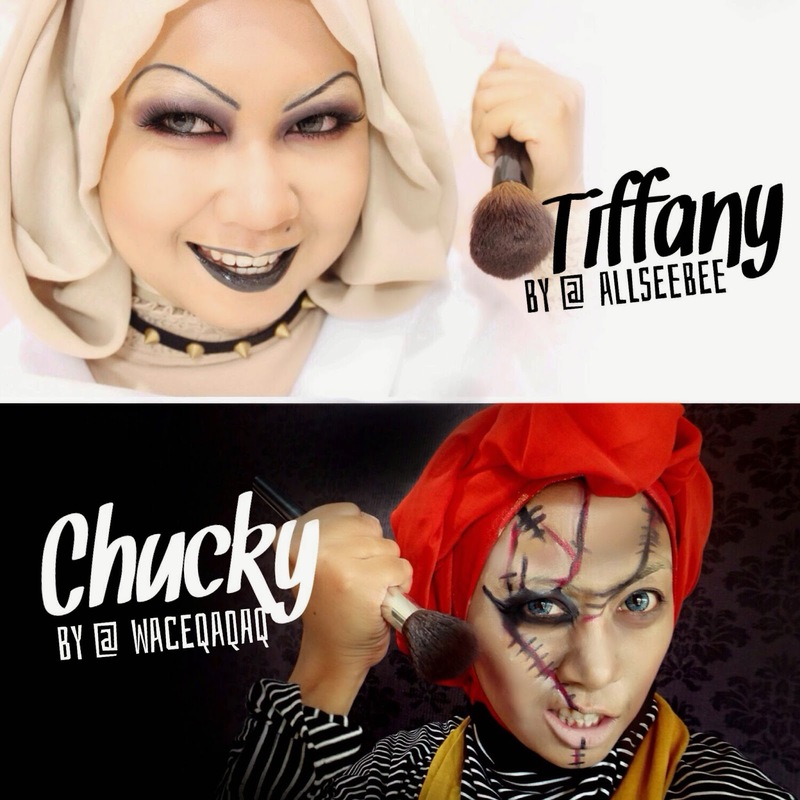 Before that, check out Mbak Vindy's post about Chucky look she created here. Oh yeah, I hope that you don't mind with so many FOTDs I post this time.. hehehe..
Dilaa...suka banget ama riasan matanya! warna eyeshadow nya persis banget ama warna eyeshadow nya Tiffany!